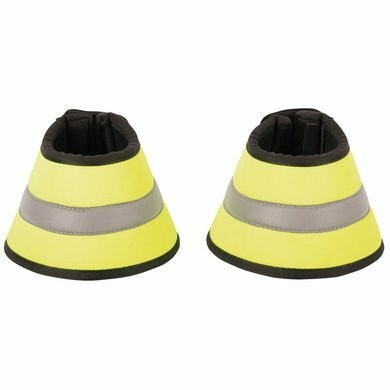 Neoprene over reach boots with a PU outside with Reflective stripe and strong velcro closure. The jumping bells are very well-managed. They shine well. Very striking overcrowels. Makes you visible on the road. However, the edge of the sprung boot may be better finished. My horse has a sensitive skin and there are abrasions in the cow cavity during longer journeys. I only use it in the winter when it is freezing to protect the hooves of my horse with PPID. (She has been trapped, causing poorer circulation, so important that her feet remain warm enough. 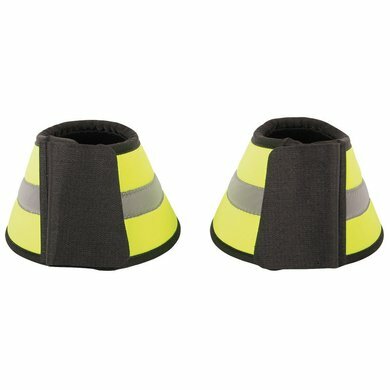 Little lump design, there are better over reach boots, but they are not reflective.